Kyle, J. Blessing and Chantelle’s first born son and the only child was finally laid to rest at the Lang’ata cemetery yesterday after he kicked the bucket on Thursday night. 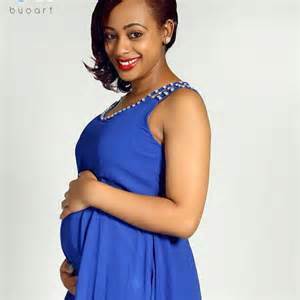 The cause of his demise remained a mystery but according to RKay, Kyle was a healthy baby, 6 months old until Tuesday when Chantelle (his mother) took him to hospital for a vaccination jab at The Nairobi Hospital.